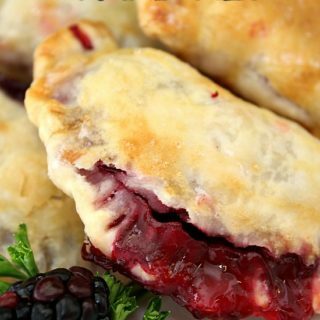 Here’s another recipe that you can use your crock pot for. 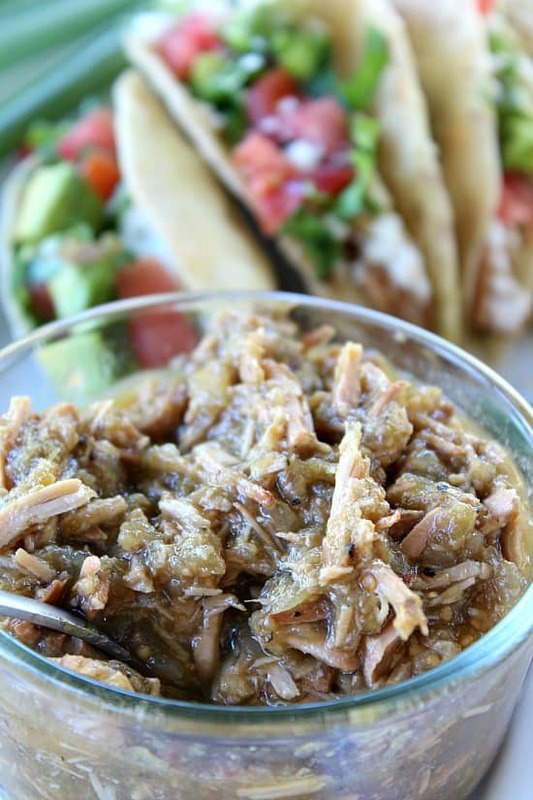 These Salsa Verde Pork Tacos are to die for! 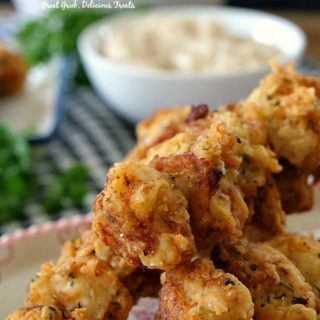 Super easy to make, super delicious to eat! 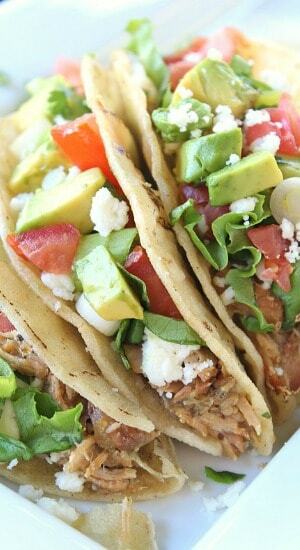 Tacos taste delicious, not only on Taco Tuesdays, but everyday of the week. Basically, chop up your onions, add them to the crock pot. Place the pork roast on top of the onions and season your meat. Add minced garlic. Pour the Trader Joe’s® Salsa Verde sauce over pork roast, cover, place temperature on high and go about your business for about 6-8 hours. 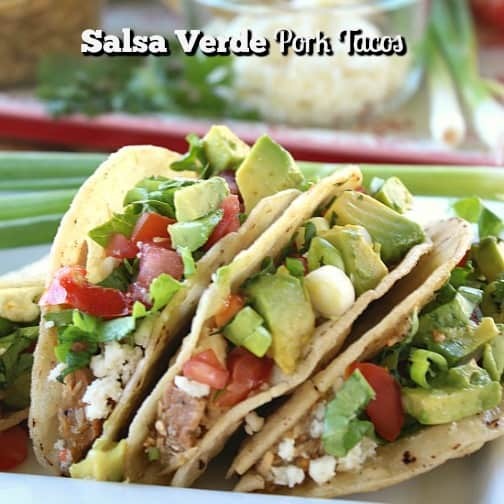 If you do not have a Trader Joe’s near you, just use a salsa verde sauce that you can buy at your local grocery store! Once the roast is done, shred it up. Put it back into the sauce until ready to assemble your tacos. 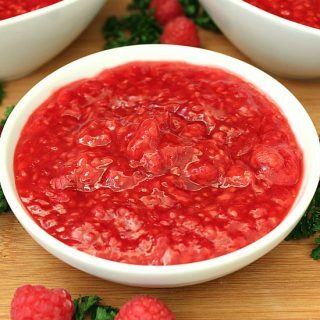 In the meantime about 30-45 minutes before the roast is done, start preparing your topping ingredients. Cut up tomatoes, green onions, and lettuce. Wait to slice up the avocados until right before serving, that way they don’t turn brown on you! 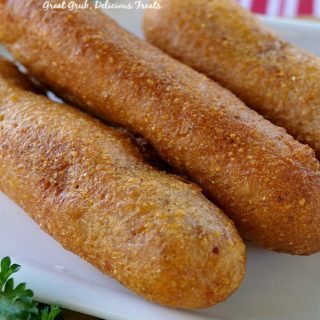 In a large frying pan, heat up vegetable oil and fry each corn tortilla until cooked to your liking. 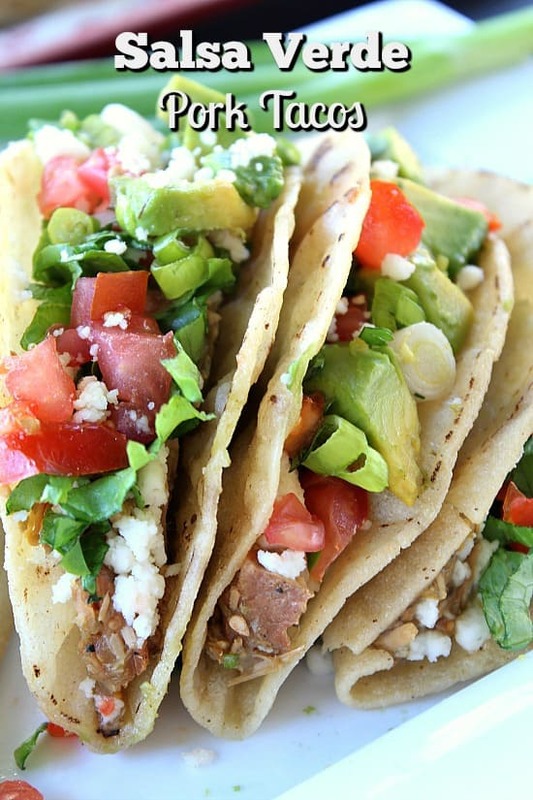 We love crunchy tacos! YUM! 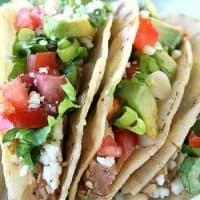 Once the meat is done and shredded, all the toppings are cut up and ready, your favorite cheese is grated, go ahead and cut up the avocados. Dinner is almost ready! 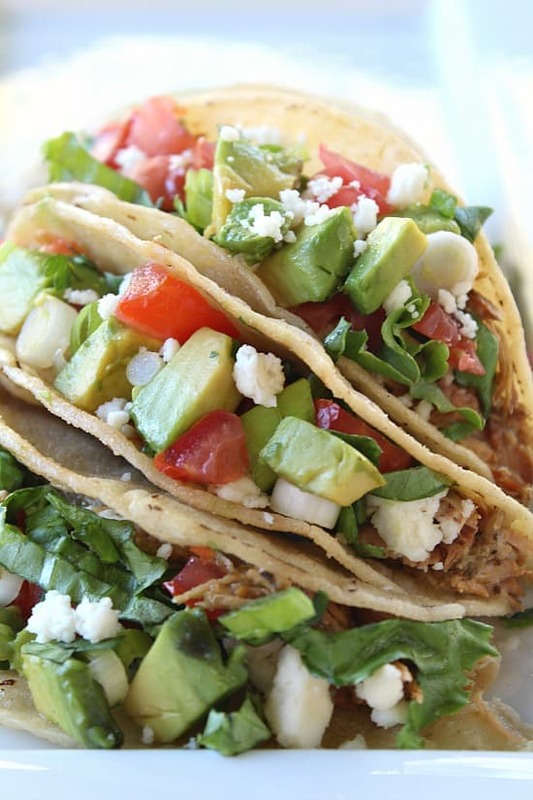 Tacos are great any time of year! 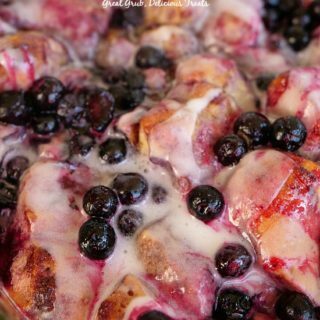 So pull out your crock pot and go ahead and get yourself started on this amazing recipe! 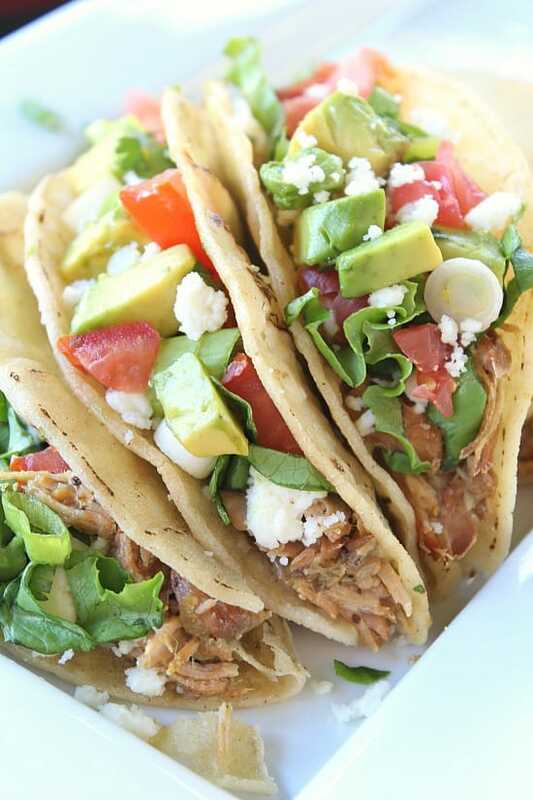 I will be posting 8 Easy & Delicious Crock Pot Meals later today! These smaller pictures above are the perfect size for sharing on your Facebook page. 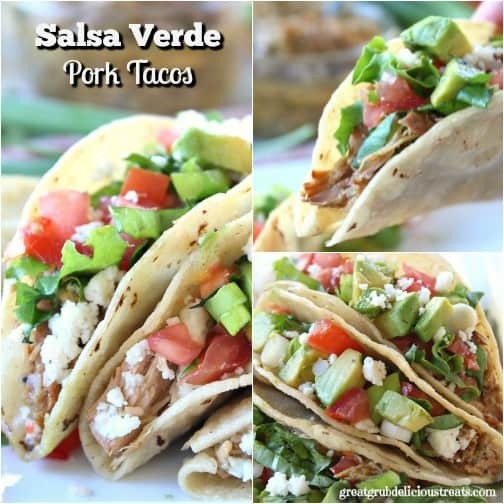 I hope you enjoy these delicious Salsa Verde Pork Tacos! In a 5 quart crock pot, turn to high. Cut up onions and place on bottom of crock pot. Place pork roast on top of onions. Pour salsa verde sauce over roast. 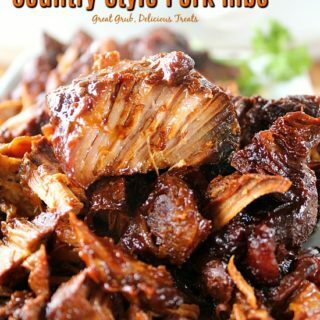 Cover and cook for 6-8 hours or until pork falls from the fork. Just before roast is finished cooking, cut up tomatoes, lettuce, onions. Set aside. Right before serving, slice/cut up avocados. 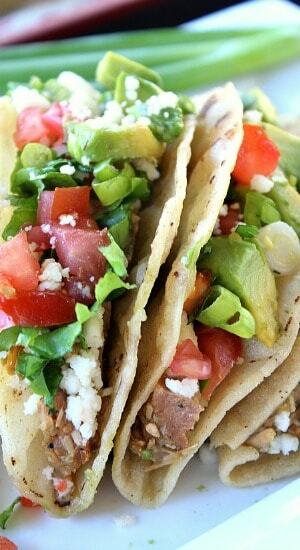 Once oil is hot, place tortillas in pan, one at a time until your pan is full, and fry to desired crispiness. Continue until all tortillas are cooked. 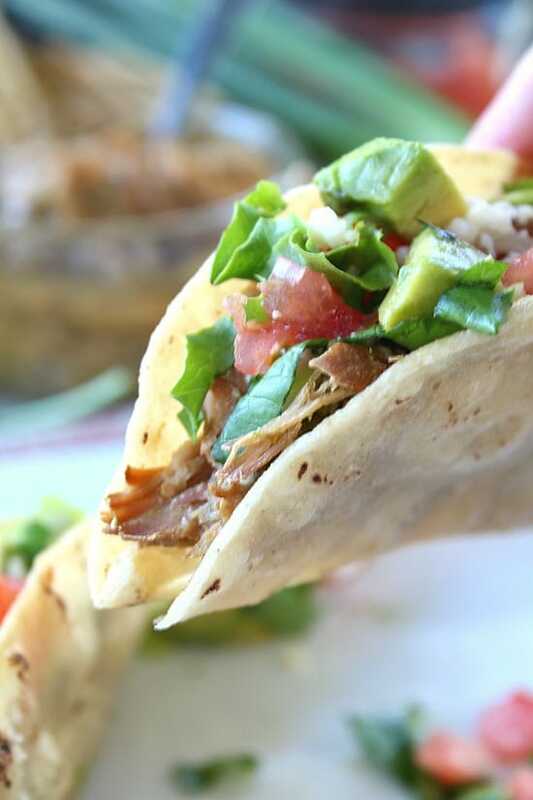 Place corn tortillas on a plate covered with paper towels to absorb some of the oil.